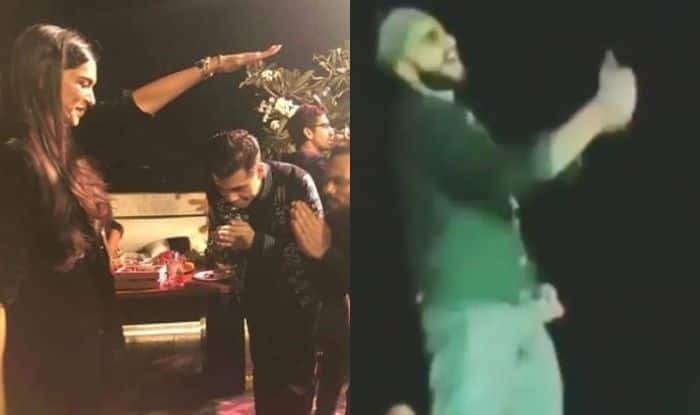 Ranveer Singh set the dance floor on fire at Simmba's success bash. Filmmaker Rohit Shetty’s Simmba featuring actors Ranveer Singh and Sara Ali Khan has turned out to be a huge hit. The stars celebrated the success at Karan Johar’s residence. Along with the lead actors, many renowned stars of Bollywood graced the party. Deepika Padukone, Akshay Kumar, Ajay Devgn partied hard. Many inside pictures and videos are doing the rounds on social media which indicate that they had a ball of a time together. Karan shared an Instagram story in which he along with Rohit and Ranveer can be seen taking blessings from Deepika. The actress shares a good bond with Rohit. She worked with him in Chennai express. In another video, Ranveer can be seen dancing his heart out at Zingaat. Well, we are all aware of his infectious energy and he can make any party lively. The actor grooved to the beats of Amitabh Bachchan’s Jumma Chumma De De. Ranveer is seen playing the role of a cop in Rohit’s film. Sara played his love interest. The actress made her Bollywood debut with Kedarnath and Simmba is her second project. The movie did wonderful business at the box office and is all set to cross Rs 200 crore mark. It is Rohit’s eighth film to the coveted Rs 100 crore club. Simmba also featured Sonu Sood as an antagonist. On a related note, Ranveer will next be seen in Gully Boy. The movie also features Alia Bhatt and will be released on February 14. It is directed by Zoya Akhtar. Rohit’s next directorial venture will have Akshay Kumar as the lead. Deepika will soon start shooting for her upcoming film Chhapak. The film will be directed by Meghna Gulzar and also features Vikrant Massey and is based on acid-attack survivor Laxmi Aggarwal.